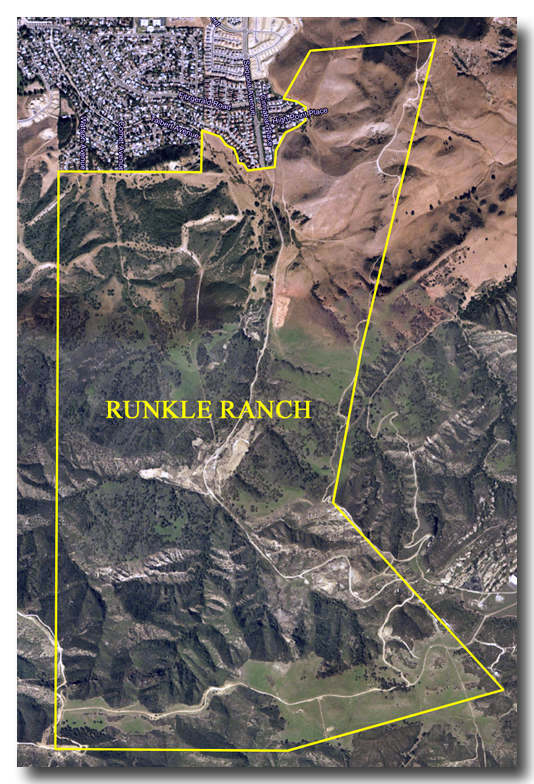 This firm has been the primary geologic and geotechnical consultant for the 12,000-acre Newhall Ranch Development in northern Los Angeles County since 1994. The project includes over 17,000 dwelling units as well as extensive commercial development. This firm provided geologic reports as part of the review and approval process for the Specific Plan and assisted in the Value Engineering process during development of the design concepts. We have conducted extensive explorations and prepared reports addressing tentative map designs that have resulted in geologic and geotechnical approval by the County of Los Angeles of large portions of the site, including VTT 53108 (Landmark Village) and VTT 61105 (Mission Village). We have also conducted investigations and completed reports for the associated Water Reclamation Plant and Utility Corridor. AESEGI provided the observation and testing services during the construction of a custom residence which included a subterranean basement and construction of a swimming pool. The foundation for this structure was founded in the bedrock using a combination of spread footing and pile system. 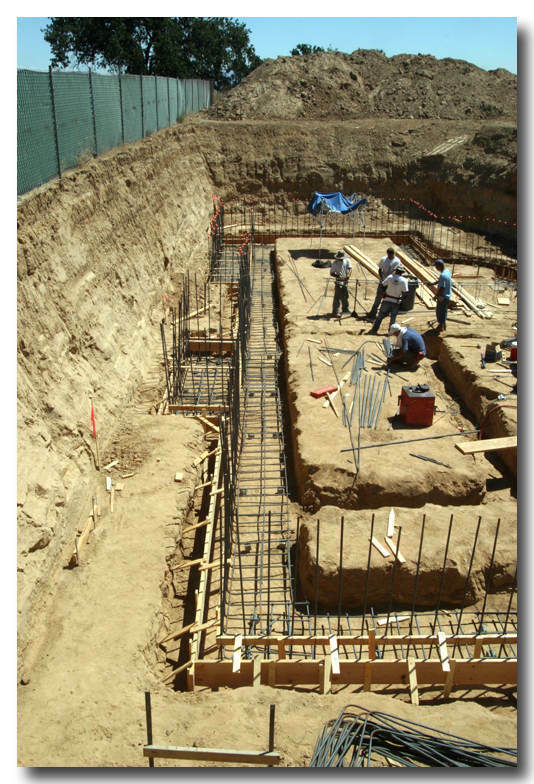 The basement retaining walls were backfilled per the approved plans and specifications. AESEGI provided geologic/geotechnical services including site characterization utilizing existing data from others and updated with our own supplemental exploration, laboratory testing and analyses for the residential Tentative Tract consisting of 542 buildable Lots including parks, soccer fields, future school site and associated infrastructure. 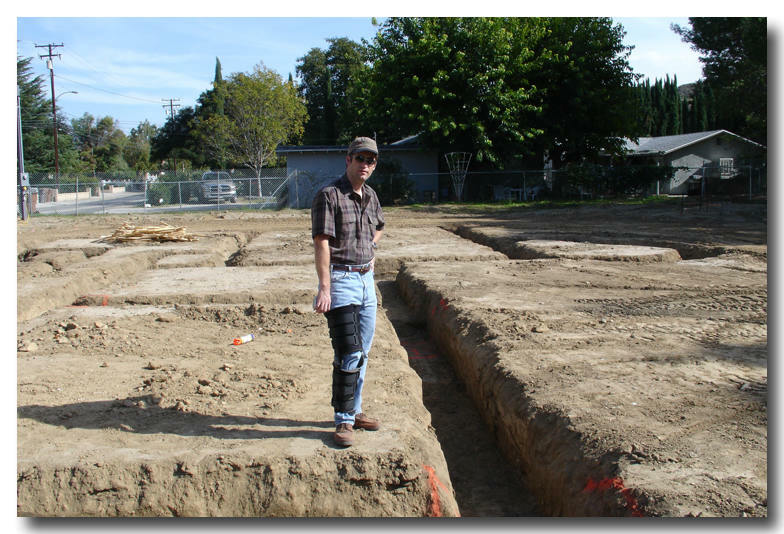 In addition to evaluating the Tentative Tract Map, our services were used to assist the project team in preparation of the Environmental Impact Report and the project Specific Plan which included the evaluation of the potential for liquefaction during future earthquakes, determination of appropriate for removal depths to mitigate potential distress from hydroconsolidation, soil compressibility, liquefaction and seismic settlements. The stability of the existing and proposed slopes, seismicity considerations, and the potential for expansive and corrosive soils were also addressed. AESEGI provided the geologic and geotechnical investigation services as well as observation and testing services during the construction of a custom residence. 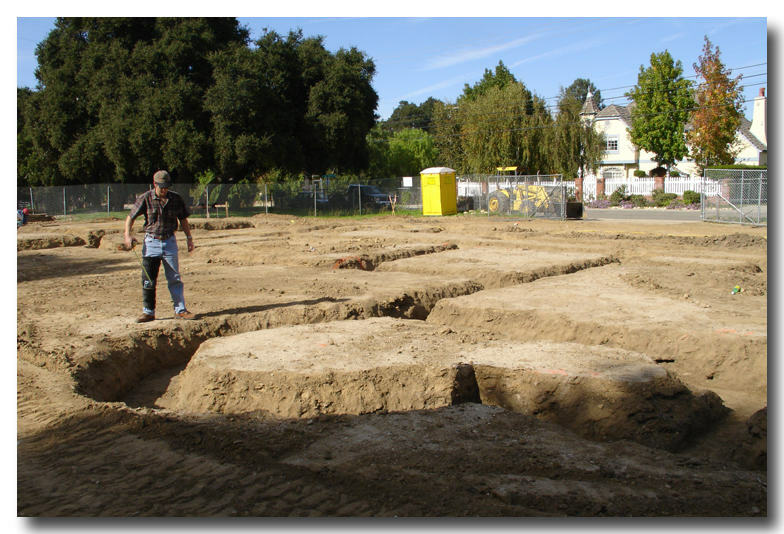 Alluvial deposits beneath the proposed building footprint were removed and recompacted In order to mitigate adverse settlement considerations the building footprint was over-excavated The foundation for this structure was founded in compacted fill using a conventional spread footings. AESEGI performed engineering geologic and geotechnical engineering services including feasibility evaluations, value engineering, and design studies for the Tentative Tract Map, and assisted the project Team in preparation of the Environmental Impact Report and the project Specific Plan. Analyses included evaluation of potential fault hazards, landslides slope stability, and delineation of existing aggregate mine tailings for preliminary grading removal estimates. 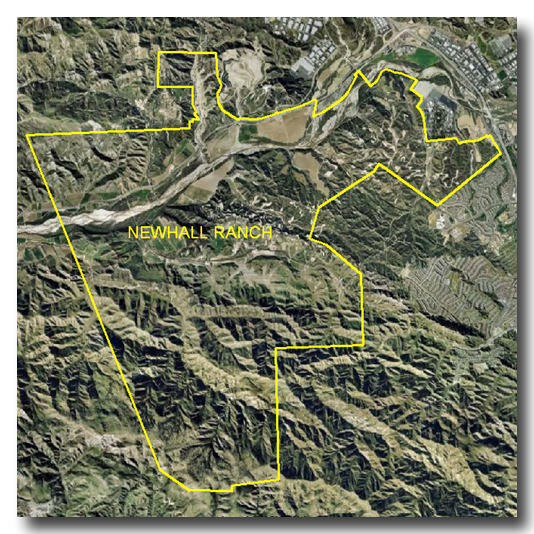 By detailed analysis of the geologic and geotechnical conditions and a rational approach to the site challenges, AESEGI obtained gained Geologic and Geotechnical approval of the Tentative Tract Map by the City of Simi Valley Public Works Department in a time efficient manner in keeping with the client's schedule. 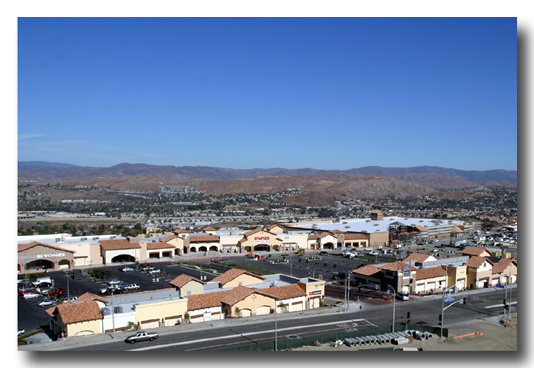 Golden Valley Ranch/Plaza at Golden Valley posed unique challenges to development owing to complex geologic and geotechnical conditions and the proximity of the 14 freeway. Using careful analysis of the geologic and geotechnical conditions combined with a rational approach to address the site constraints, AESEGI efficiently helped the design team solve a number of challenges including potential deep-seated landslides, faulting, highly expansive and corrosive soils, material transitions beneath the proposed structures, slope stability, and seismic requirements. AESEGI provided services from the feasibility stage through grading construction. AESEGI performed geologic and geotechnical investigations, for the Tentative Tract Map and Grading Plans and provided construction monitoring services for the project Rough Grading and for the construction of a four-story office building. Our evaluations covered determination of appropriate removal depth recommendations to mitigate potential distress from hydroconsolidation, soil compressibility, liquefaction and seismic settlements to the current state of the practice, as well as slope stability analyses, seismicity considerations, and potential for expansive and corrosive soils. 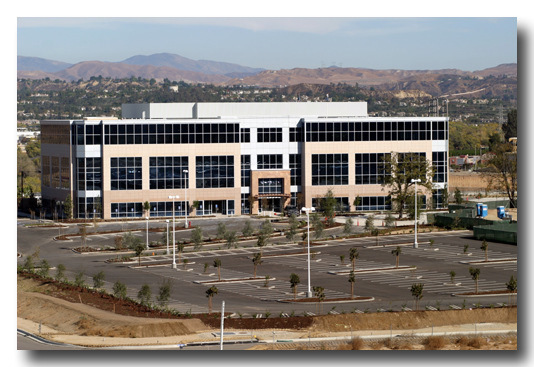 AESEGI was retained to perform grading observation and testing services for the Gateway 5 Development located along the margin of Castaic Creek. During the grading construction for the soil cement bank protection laboratory testing of the aggregate stockpile allowed revision of the soil cement design mix resulting in a considerable cost savings for the client. A rigorous quality control program was employed during construction of the soil cement bank protection to ensure minimum plan specifications for compressive strength and durability were achieved. Field observation and testing services were performed by our qualified soil technicians. Geotechnical testing of on-site aggregate material and fresh soil cement was performed to assess alternate mix designs. Mix designs were revised as needed during construction to minimize the cement quantities and control waste factors. 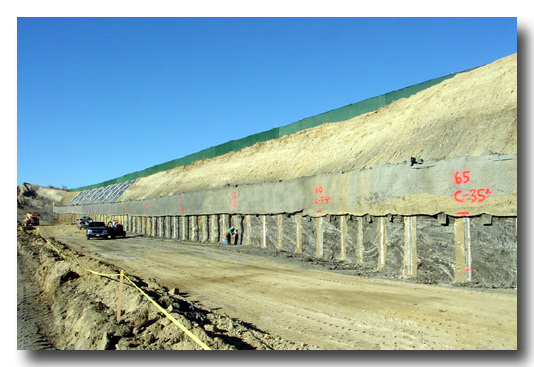 Results of Unconfined Compression tests (3-day, 7-day and 28-day) and Durability tests indicated that the soil-cement bank protection was constructed completely per the plan specifications. 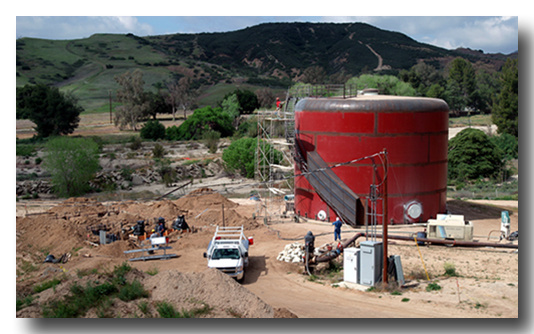 AESEGI performed engineering geologic and geotechnical engineering services including feasibility evaluations, value engineering, and design studies for the Water System Improvements including a new 300,000 gallon forebay tank, water well, booster pump station and 600,000 gallon water reservoir tank. AESEGI is currently performing the quality control services for the grading and for the construction of the proposed improvements. AESEGI was selected by the City of Santa Clarita as the project engineering geologist and geotechnical engineer for the Old Town Newhall Library. 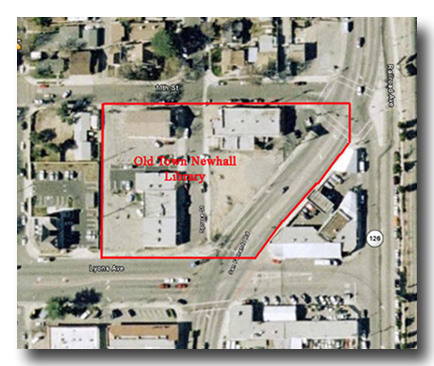 This is a redevelopment project located in Downtown Newhall that includes a two-story library facility and will incorporate measures in compliance with recently adopted Low Impact Development (LID) requirements. In addition to standard geotechnical field investigations and laboratory testing, this firm completed infiltration testing to assist in developing the design of LID measures, including pervious pavement. 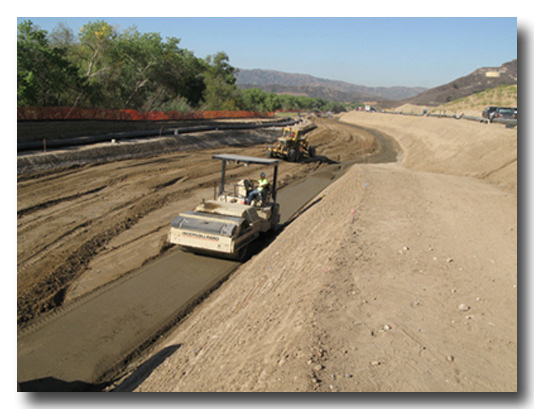 AESEGI is a member of the design team for the Golden Valley Road/Antelope Valley Freeway (SR14) Interchange. 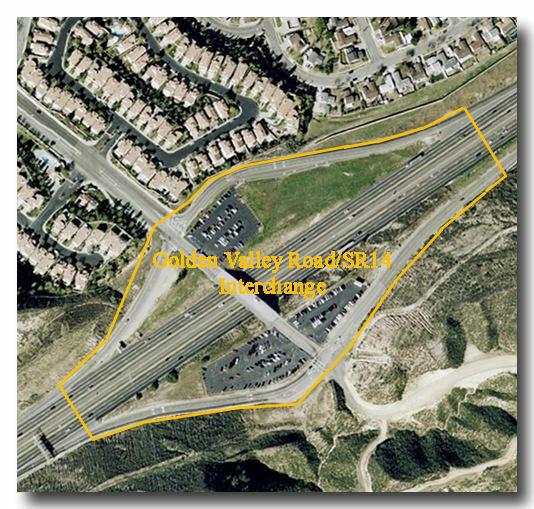 The proposed interchange will include a new bridge adjacent to the existing Golden Valley Road bridge that will cross over the Antelope Valley Freeway. AESEGI is working in cooperation with Caltrans and the City of Santa Clarita regarding foundation design and future construction of the new bridge. AESEGI's responsibilities on this project include subsurface exploration and laboratory testing, geologic/geotechnical characterization of the site, evaluation of design seismic loadings, selection of foundation type for the new bridge, evaluation of potential impacts of the new bridge on the foundations of the existing bridge, and preparation of detailed recommendations for design and construction of the foundation of the new bridge. 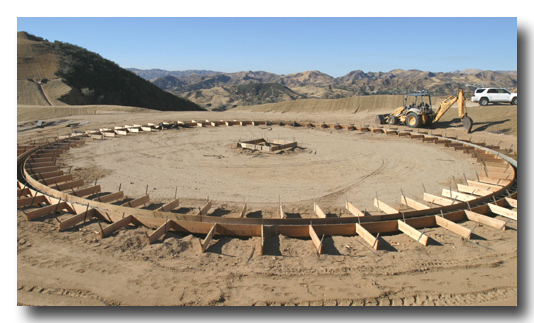 AESEGI is the project engineering geologist and geotechnical engineer for the proposed Water Reclamation Plant (WRP) for the future Newhall Ranch Development in Northern Los Angeles County. 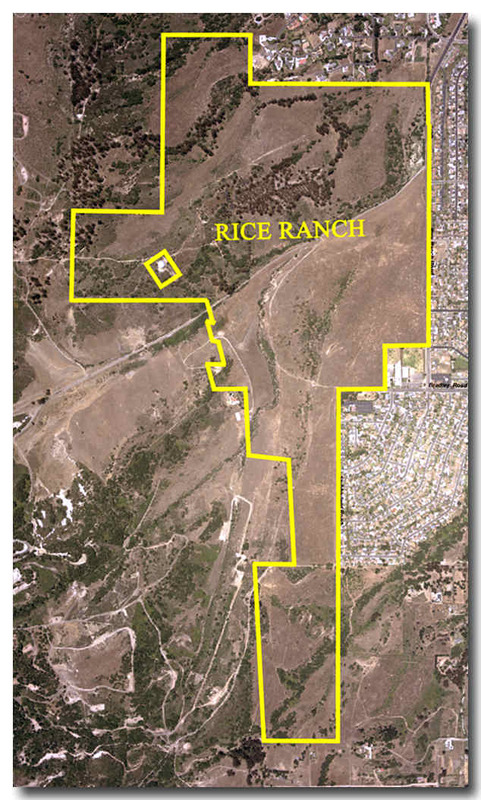 This 21.5 acre site is located on the north side of the Santa Clara River near the Ventura County line. The plant was designed to handle 2 million gallons of sewage per day (2 MGD) and provided space for future expansion to 42 MGD. This firm conducted field investigations, laboratory testing and analyses and provided conclusions and recommendations to assist in the design of the WRP site from a geotechnical standpoint. 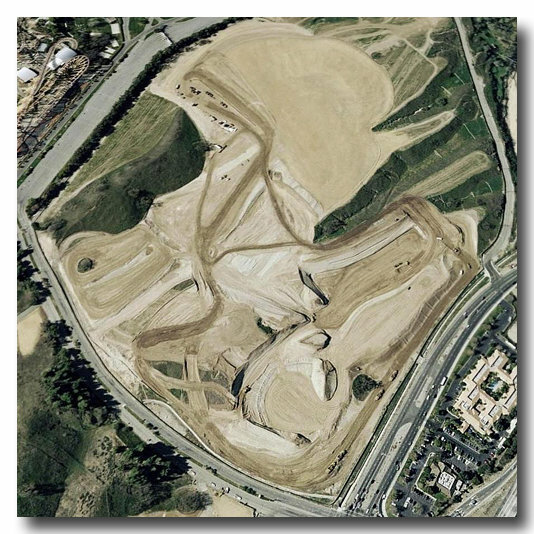 We subsequently completed additional investigations and reports addressing Mass Grading of the site and the Site Plan prepared by CH2MHill for submittal to the Sanitation Districts of Los Angeles County for review. 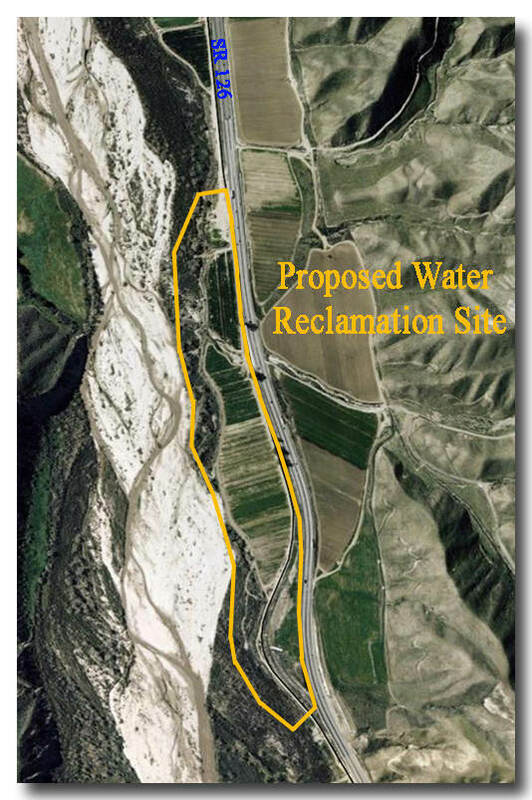 We also prepared reports addressing the associated soil cement bank protection along the Santa Clara River, Storm Drain Plans, and the associated Utility Corridor extending for 4 miles to the east along Highway 126. 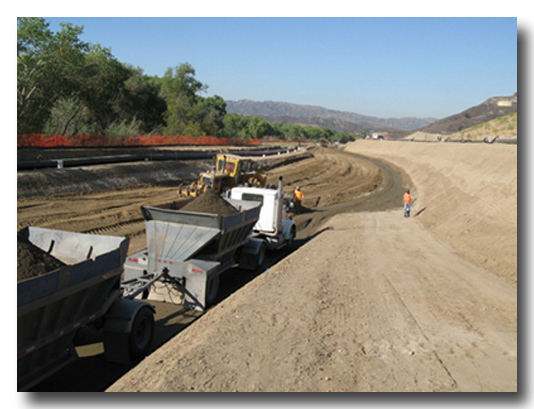 AESEGI was a member of the team that designed and constructed the stabilization/protection for a 1200-ft long portion of the south bank of the Santa Clara River, adjacent to Soledad Canyon Road in Santa Clarita. 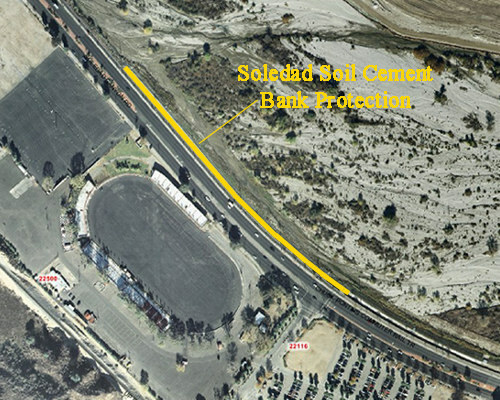 AESEGI worked in corporation with the City of Santa Clarita and Pacific Advanced Civil Engineering regarding stability and durability requirements for the bank protection utilizing soil cement. AESEGI responsibilities for the project included subsurface exploration and laboratory testing, geologic/geotechnical characterization of the site, evaluation of stability of the stabilization for construction and service conditions, design of the soil cement mixture for the bank stabilization, and observation and testing of earthworks for construction of the stabilization including sampling and testing of soil-cement mixtures. ©2009 AESEGI Consultants. All rights reserved.